This book is more than just a corporate publishing project. On a total of 288 pages it not only shows the exciting results of work carried out over the last 20 years but also presents in a highly impressive way the paths and processes that led to these results. The book describes the work of the Austrian Atelier, which has achieved recognition beyond the region, along with the design approaches taken and the consistent orientation on the contents and the communication aims. The 15 projects presented illustrate spatial and graphic design that focuses on applied communication – book design and scenography, signage and facade graphics. The book itself is a testimony to the creative work. 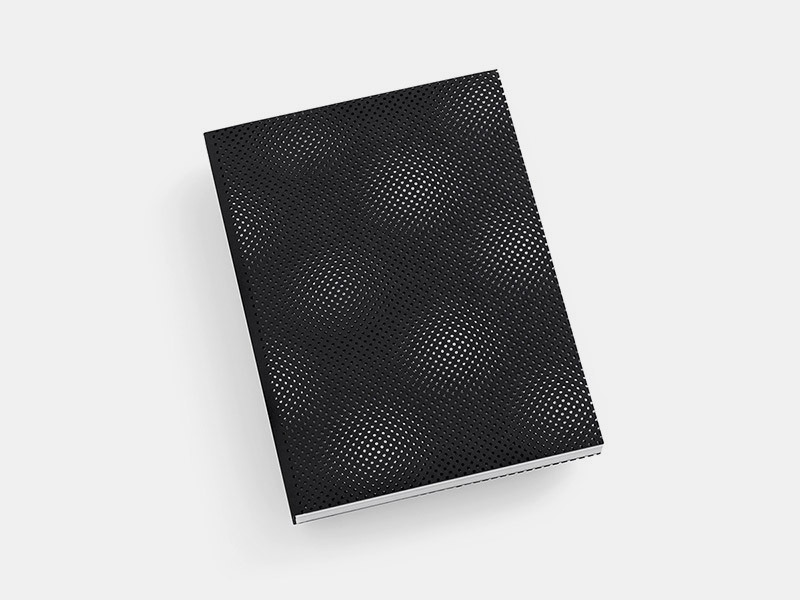 The cover recalls a concrete façade graphic design on the theme of skin and surface and surprises our perception in that it shows what first becomes visible through the relationship between two different surfaces. The challenge of presenting the medium book in a book is successfully met by, on the one hand, placing the illustrations on the pages almost as facsimiles so that, for the viewer, a further interference between reality and representation develops. On the other hand the “filmic” sequence of the wrap and the dramaturgy of the book’s design are shown at a single glance in miniature illustrations. The descriptions provide information about the various design approaches taken by the team, about interesting sources, and about different ways of engaging with the creative process. Alberto Alessi, Walter Bohatsch, Köbi Gantenbein, Otto Kapfinger and Roland Jörg wrote the accompanying texts.